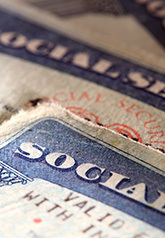 Social Security Survivor Benefits: Do You Know What They Are? What happens to your husband’s or wife’s Social Security benefits if he or she dies? Are you entitled to them as the surviving spouse? If your spouse who has passed had paid into Social Security long enough, you may be eligible to collect his or her benefits. These are known as Survivors Benefits. On this last point, it’s important to know that you cannot receive double benefits. The total benefit amount will equal the higher of the two. For example, John draws $1,400 per month from Social Security and his wife Mary draws $800. If he dies, Mary will receive her $800 plus an additional $600 to equal the amount John was receiving of $1,400. If, on the other hand, Mary draws $1,400 per month and John draws $800, upon his death Mary will continue to receive her own benefit of $1,400 only, since it was higher than John’s. Social Security also makes a one-time, lump sum payment of $255 to most surviving spouses at the deceased’s passing. This “death benefit” is separate from, and in addition to, survivors benefits described above. The surviving ex-spouse may also be eligible to receive the same amount of benefits as the surviving spouse. In most cases, the ex-spouse’s benefits will have no effect on the amount available to surviving spouse and other family members. Many people are surprised to hear they may be able to collect Social Security benefits from their deceased or former spouses. These benefits can be useful to factor in when you are planning your finances. And certainly helpful in planning your future.